First, I created the background using Distress Oxide Inks (Fired Brick, Spiced Marmalade, Fossilized Amber). I added the ink (one color at a time) on craft mat, sprayed with water, and dipped the watercolor paper. I dried it each layer of color. I trimmed it to fit the front card (4.25" x 5.5") and then I added it on the card with strong adhesive glue. To create the green hills, I cut couple green cardstock using one of the Elegant Stitched Dot Edge Dies. I added first layer on the card with adhesive glue, and the I layered the second one with 3D foam tape. 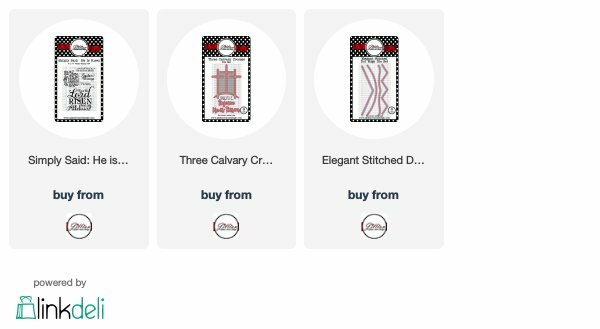 I cut black cardstock with the crosses from Three Calvary Crosses, and I added it on the card by tucking in between the hills with adhesive glue. 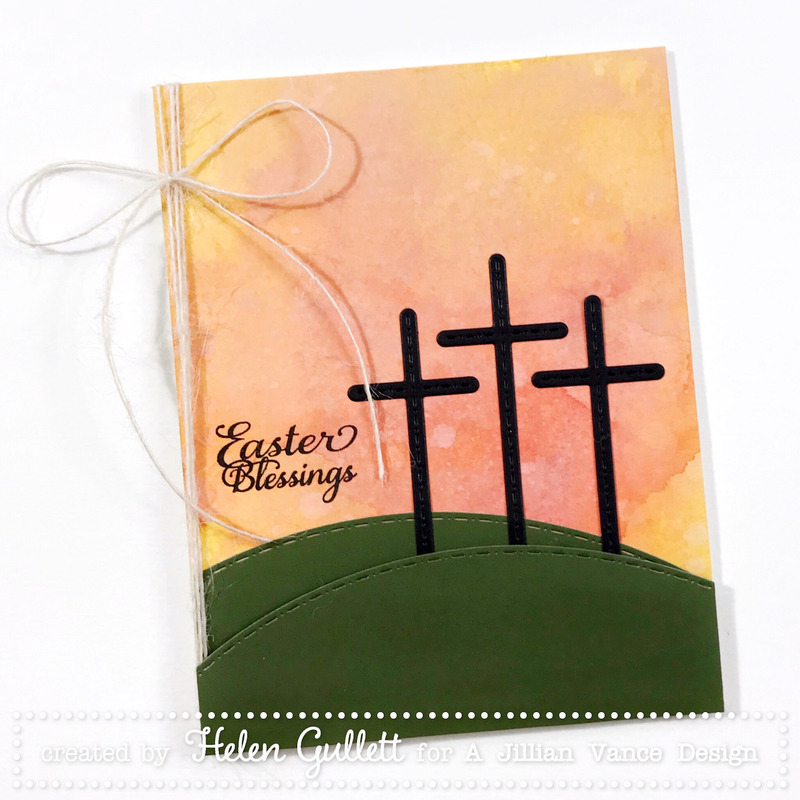 I stamped one of the sentiments from the Simply Said: He Is Risen with Versafine Onyx Black and added some natural twine ribbon to finish the card. I hope you can enjoy this blog post today. Thank you so much for stopping by! That background is awesome - perfect for this true Easter card!